The world's most stressful job. To the casual observer, looking up on a summer's day, you see the white contrails and perhaps the inkling that there is a pattern to it. Who controls it? What are the systems and procedures? How will they keep on sharing out the airspace in "The Crowded Sky"? 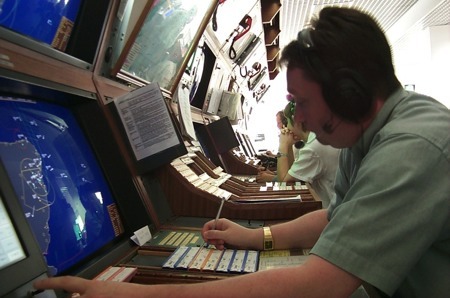 Phil has been an Air Traffic Controller for over 30 years "and I'll keep at it until I get it right" he quip's. A humorous yet factual after dinner talk on air traffic control will fascinate you, so, standby for take off!